It is always gratifying when Doug Tice gives Democrats advice. We appreciate it. However, he’s like the creepy old man who tells you to walk closer to the edge of the cliff so you can see better. In the Sunday newspaper, Tice again selflessly shares in the Democratic angst. As he does sometimes, he’ll start out with a more-or-less reasonable narrative or scenario, but then he veers wildly into the rhubarb to make some ponderous and preposterous ideological point. In his current column, he described attending a speech by my favorite political writer, bar none, Thomas Frank. Tice relates with reasonable accuracy the premise of Frank’s most recent book, Listen, Liberal. In the book, Frank describes in penetrating detail how people who ought to be Democrats have become disaffected. 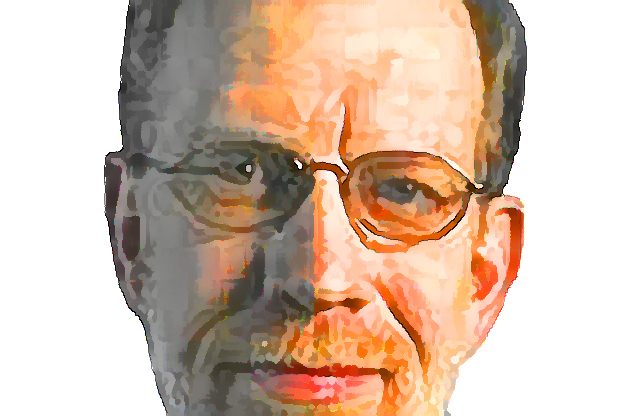 The Democrats have become the overeducated party of the “professional class,” the “creative class,” the “well-graduated,” Frank says. Intoxicated with dreamy talk of “innovation” and “global competitiveness” and “creative clusters,” Clintonian Democrats of recent decades stopped opposing trade and deregulation schemes that undermined broad-shouldered workers, stopped demanding a fairer distribution of wealth — and cozied up to monopolists from Wall Street to Silicon Valley. Fair enough. But then Doug says that Frank blames all the “Emerald City progressives” in places like Seattle, Portland, and, gasp, Minneapolis. You know, I’ve read Listen, Liberal, and I wrote about Thomas Frank and the book quite a lot in election year 2016. Like here. And here. Oh, and here. There are several more if you are inclined to poke around with the creaky search engine at LeftMN. The problem, you see, according to Doug, is that the Democrats have become too liberal. It is annoying, though, that he drags in Thomas Frank in support of the proposition. Thomas Frank was a Bernie supporter. He is one of the reasons I was. 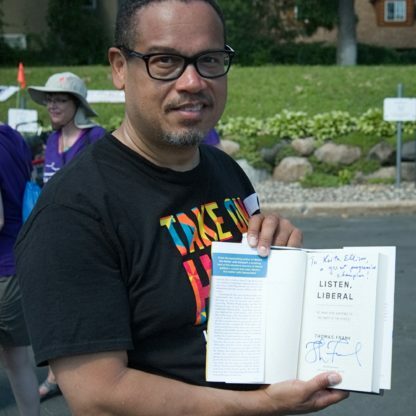 Congressman Ellison is one of those Emerald City progressives, of course, co-chair of the Congressive Progressive Caucus, and an author of the People’s Budget. He supports the $15 an hour wage. Recent polling tells us that progressive Bernie Sanders is the most popular politician in the country. The problem with the Democrats isn’t the followership; it’s the leadership. Hillary Clinton ran for president twice (at least). One time she lost to the nonestablishment (at the time) Barack Obama. He became the president. The other time, she beat Bernie Sanders but got beat by the faux-populist Donald Trump for president. Hillary Clinton lost something like 19 counties in Minnesota that Barack Obama had won. So you are dead wrong, Doug. Progressivism is not the problem. Read the damn book.